In this series of articles, we have started with the introduction to ARM. In this article let us setup a lab to start writing programs in ARM assembly. We could either set up a virtual environment on your system based on ARM architecture such as qemu, or you could buy an ARM based device such as RasberryPi. Our focus is to set up a virtual lab environment with Qemu, rather than writing programs on a real hardware device. QEMU (short for "Quick EMUlator") is a free and open-source hosted hypervisor that performs hardware virtualization. QEMU is a hosted virtual machine monitor: It emulates central processing units through dynamic binary translation and provides a set of device models, enabling it to run a variety of unmodified guest operating systems. Simply put, it is an emulator which acts as a CPU. Qemu supports ARM, PowerPC, MIPS and even x86 emulation. Lets begin with setting up a lab. Step 1: Download Qemu . Step 2: Install all the dependencies before installing Qemu. We can use the following command to install dependencies. 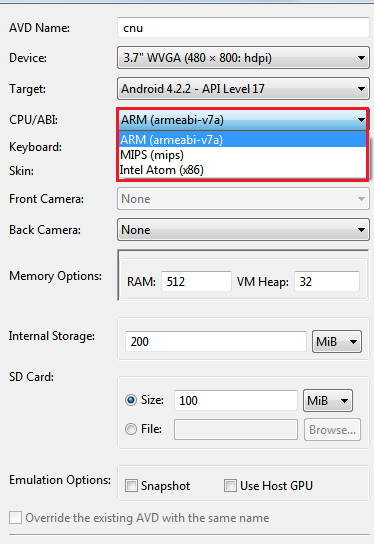 Step 3: Run the configuration script, to build Qemu for ARM processor. Extract the downloaded Qemu archive and navigate to the qemu directory. in my case, it is as shown below. From here, follow the same installation steps you would use on a real machine. Once installed, you could boot the created virtual environment with the following command. Drop an email at srini0x00@gmail.com if you face problems in setting up the lab, so that I can write other ways of doing it or probably make a video of the whole process. Trend of Mobile Devices is growing up. Hackers are now shifting their focus onto mobile devices. Android is not an exception. Because of it's open source nature and the market share it has, it is more prone to attacks when compared to other mobile platforms. 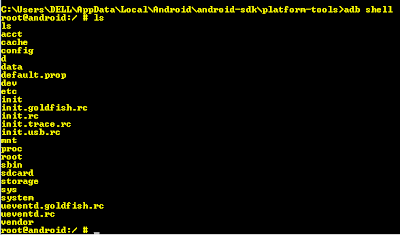 Though, it is possible to steal SMS, CallLogs, Contacts, GPS Location and other Sensitive data from the device remotely using this malware, the focus of this video is to show that it is possible to execute remote commands to steal sensitive information from an android device. It contains two parts similar to any other trojan. 1. Server listens for incoming connections on port 8888(Reverse Connection Trojan). 2. When a user starts the client app, it automatically connects to the server and gives a reverse shell. 3. 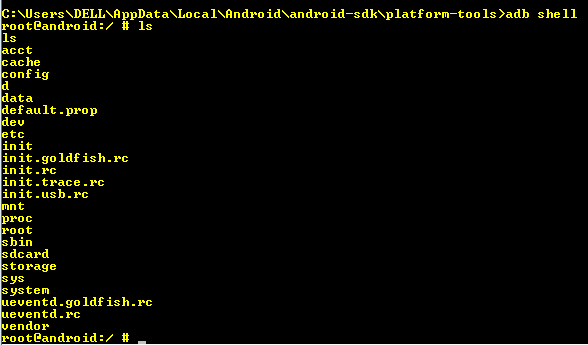 Now the attacker can execute remote shell commands on the Android Device. Always check the permissions before you install any new app. Always install apps from trusted sources. Install an anti virus solution on the device(though they can be easily bypassed). Please post your comments for any queries and suggestions. Though there are debates going on Android vs iOS, It is widely accepted that Android is one of the coolest mobile platforms from an end user's perspective. But, when it comes to the security, keeping it's open source nature in mind, it is really challenging for Google to implement a robust security architecture. 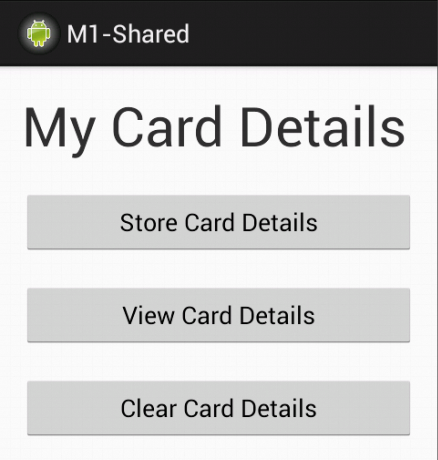 Lets dive into the android inbuilt security model implemented by Google. Security at the OS level through the Linux kernel. Android is built upon Linux Kernel. because of it's open source nature, thousands of developers have been working on Linux kernel security and thus it became a stable and secure kernel by many corporations and security professionals. I would take a step ahead to make you clear with this concept of Application Sandboxing. Lets first take an example of how a normal Linux machine works. Multiple applications running will have the same user ID. Here, I have logged into my Ubuntu Machine as user "srini" and running two processes. 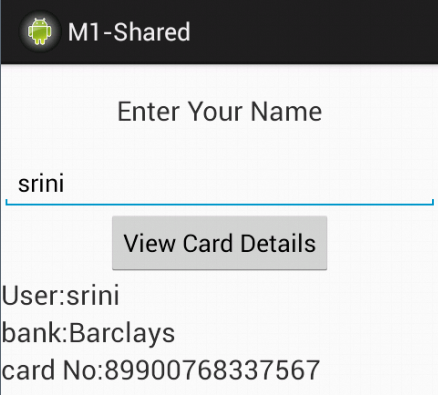 Now, if we look at the User IDs of the above two processes, they run with the same UID "srini". To cross check , i am filtering the processes running with UID "srini" by writing the following command. ps -U srini : Shows all the process running with UID "srini"
grep 'firefox\|gedit' : filters the output and finds the specified strings. Now, its not true in case of android applications. Every Single application installed in your device, will have a separate User ID(UID). This ensures that each application and it's resources are being sand-boxed and will not be accessible to any other application. Note: Applications signed with the same key(it is possible if two apps are developed by the same developer), can access each others data. Figure 1.2 shows how each application is given a separate UID. 1. Connect your device/phone using adb. The above figure shows how each installed app holds a different UID. 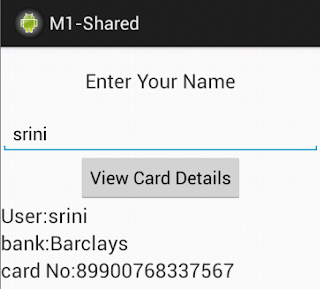 The highlighted app is the inbuilt contacts app holding the UID u0_a4. 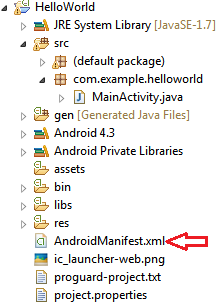 Similarly, we can observe the UIDs of other apps. Figure 1.3 shows how each apps data is isolated in a separate sand-boxed environment under data/data directory. 1. Connect your device/emulator to your machine using adb. 2. Navigate to the directory /data/data using the following command. Is there a way to break out of this Sandbox? Google says, "Like all security features, the Application Sandbox is not unbreakable. However, to break out of the Application Sandbox in a properly configured device, one must compromise the security of the the Linux kernel". This is where we can comfortably discuss about android rooting which enables all the apps to have root privileges to do most of the things they want to do on the android system. In Linux (and UNIX) based machines, ‘root’ is the supreme user level with highest privileges to perform any task. By default, only the Linux kernel and a small number of core utilities run as 'root' on android. But if you root your device the root user level is available to all apps running on the device. Now any user or app with root permission can modify any other part of the Android OS including the kernel, and other apps as well as the application data by breaking out of the sandboxed environment. Later in this series, I will write an article to describe how rooting works. In android, processes can communicate with each other in several ways such as Intents, Network Sockets etc. 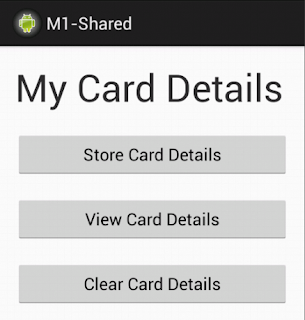 Though Google claims that all of them need permissions, Android permissions can be easily bypassed. Later, in this series we will see how we can bypass android permission model to steal sensitive data and to upload it onto a remote server. The fact with web applications that any data sent over the network without proper cryptographic implementations, is susceptible to attacks holds true with mobile applications as well. Example: Passing sensitive data in clear text format using an intent. Note: There were malwares such as iCalender on Google play store which used to send premium rated SMS from user device on which it is installed. Android 4.2 added further control on the use of SMS. 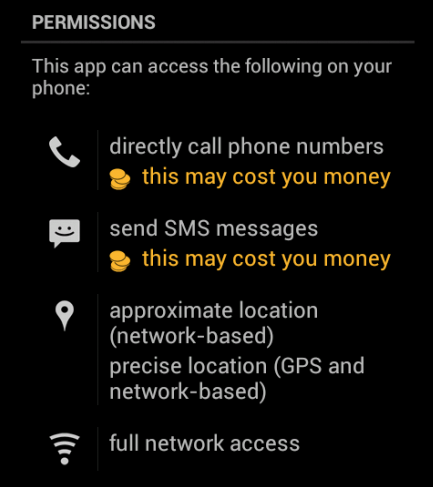 Android will provide a notification if an application attempts to send SMS to a short code that uses premium services which might cause additional charges. The user can choose whether to allow the application to send the message or block it. Application Signing ensures that every application that is run on the Android platform must be signed by the developer. Applications that attempt to install without being signed will rejected by either Google Play or the package installer on the Android device. Self signed certificates are allowed to use, as Google currently does not perform CA verification for application certificates. Permission model is said to be one of the important aspects of Android Security. However, as discussed in the previous section, we can easily bypass the permissions to do majority of sensitive tasks. In the next article, we will discuss the aspects of how android permissions are enforced and how a pentester can analyze permissions of applications from security point of view.